For centuries, humans have been awed by the magnitude and mysteries of the sea. It is hard to imagine a more beautiful or peaceful place to be than somewhere near the ocean, listening to the sound of waves crashing on a beach, feeling the sea breeze, and breathing in the salty air. 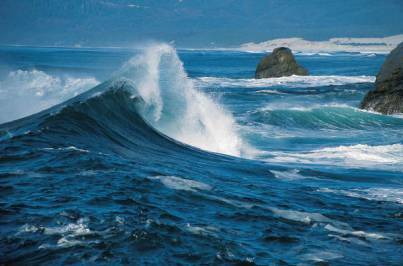 Over 70% of the surface of the earth is covered by ocean waters. 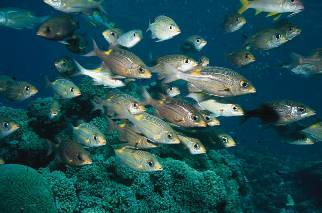 The sea is home to a rich and incredibly diverse ecosystem. Thousands of species of marine and aquatic life forms contribute to the balance of our natural environment, and are found nowhere else on the planet. In fact, it is estimated that there are potentially thousands more marine species which have yet to be discovered. The complexity and abundance of life forms that live beneath the ocean depths is a mystery which is still being unraveled by science. Ocean conservation efforts to restore the health of our seas is important because they are intimately tied to weather patterns and changes in climate. They play a crucial role in balancing and regulating temperatures in the earth’s atmosphere, producing oxygen for us to breathe and absorbing more carbon dioxide than all of the earth’s rainforests put together. They also recycle our water and air continuously, providing 86% of the water that we drink. Our everyday lives are intertwined with the sea in many different ways in the form of world economies, food, medicine, and human livelihood. Thousands of jobs in fishing, tourism, and recreation are dependent upon the health of our coastal areas and oceans. They provide routes for international travel and commerce, as well as transportation, in addition to offering us an abundance of recreational activities. One of the biggest threats to the earth’s oceans is the practice of overfishing. The world’s major fisheries have been exploited to the point where many species are becoming endangered. The problem is that the human demand can’t keep up with the reproductive rates of the fish population. Overfishing threatens the ocean food chain and the entire marine ecosystem. Many marine animals are also threatened by what is known as “bycatch” – the unintentional capture of fish and other aquatic life forms during the fishing process. Many sea creatures such as whales, dolphins, sea turtles and other animals often get caught in fishing gear and nets during the fishing process, or in debris such as plastic from ocean pollution. Another problem is the “invasion” or introduction of aquatic alien species in areas that are unnatural to them. Many species are being found outside of their original natural habitats and in areas where they don’t belong. This phenomenon often happens as a result of ballast water from ships and can have damaging effects on the areas of invasion. The lack of special protected areas in our oceans is another issue. On land, we have wildlife refuges and conservation areas set aside to protect species and preserve their natural habitats. Unfortunately, this is not the case with our oceans. Less than 1% of sea waters on our planet fall into designated protected areas, where marine life can exist and flourish untouched and protected. Yet probably the biggest threat to the health of our oceans is the problem of global warming and climate change. Rising temperatures in the atmosphere are causing glaciers and polar ice to melt and sea levels to rise. This is resulting in a loss of coastal habitats as well as producing extreme weather all across the globe in the form of hurricanes, drought, and extended heat waves. The increases in ocean temperatures are also having an effect on the ocean's coral reef systems, 30% of which have already been destroyed. In tropical areas such as the Caribbean, many marine species are facing extinction. Polar bears, walruses, seals, and other animals that live near arctic regions are also facing severe threats to their survival, as their habitats undergo profound alterations due to climate change. Altogether, global warming is having a severe impact on the entire ocean ecosystem and threatening the wildlife and human communities that depend on the sea for their survival and way of life. *Establishing marine conservation sanctuaries and reserves, as well as the prohibition of fishing in reserve areas. *Putting an end to overfishing, setting catch limits and creating sustainable fisheries. *The enactment of comprehensive government policies to protect and safeguard our oceans. 1. For more in depth information about the state of our oceans, visit The National Oceanic and Atmospheric Administration here. 2. The Ocean Conservancy is probably the largest ocean conservation organization around. They have been fighting to protect our oceans for over 30 years. Visit their website here. 5. Write to your Congressional Representatives and let them know you support policies for clean water, beaches, and ocean conservation. 6. See our Ways to Go Green section for more water conservation tips, and more ideas on things you can do to help protect our planet and stop global warming.